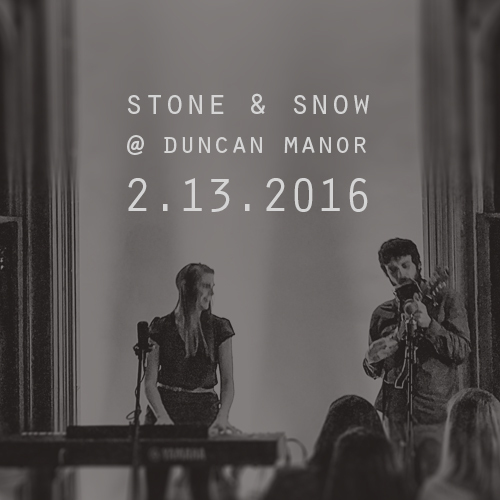 Duncan Manor House Concert: Feb 13th! Due to popular demand, we’ve added a second house concert at Duncan Manor this winter! Come in from the cold and join us for an evening of music & merriment at the historic Duncan Manor in Towanda, Illinois on Saturday, February 13th (Doors at 6:30pm). This rare public house concert includes a tour of the manor! Only 40 tickets are available and must be purchased in advance so make sure to reserve your seat soon! [Duncan Manor House Concert Tickets] A portion of the proceeds will benefit the restoration of Duncan Manor.